The Experience API is plumbing. It’s not something that stands on it’s own. It’s not a thing you can buy. However, I highly recommend buying technologies that use xAPI. 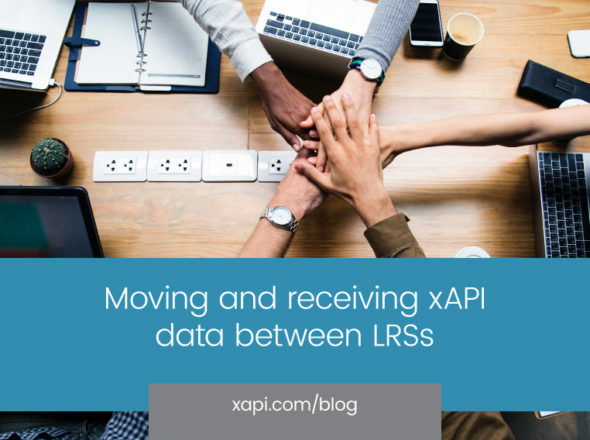 I would also love to help you figure out ways for your technology to use xAPI. Think about how hard it would be to buy the right sink and toilet if the pipes carrying the water didn’t have standard sizing and connectors. The Experience API does that for how technology connects. Tools use xAPI to communicate in a standard way about people’s activities (standardized data). When tools speak the same language about what people are doing with them, they can talk to each other. When tools talk to each other, people can make better use of them. Technology can scale better, analyze more, grow faster, connect people to the right thing at the right time faster. Let’s start making things that work together, not in closed vacuums.